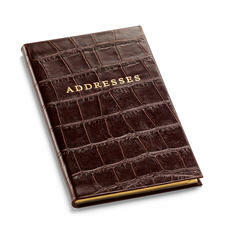 Individually handmade in the heart of England, our range of exquisite Leather Address Books are must-have accessories for any lady or gentleman with a busy social agenda. 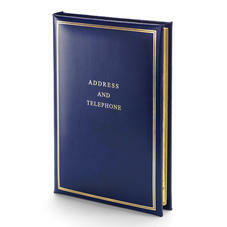 Designed with ease and function in mind, each one comes with high quality 110gsm pages and simple alphabetical address grids. Features such as hand dyed leather, traditional binding techniques and gilt edged pages make our Leather Address Books stand out and truly embody timeless luxury. 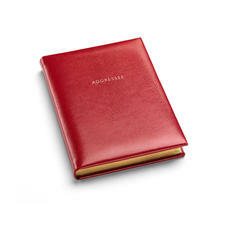 Leather Address Books from Aspinal of London are individually handmade in England in our own workshops by genuine leather and bookbinding master craftsmen and women. Each leather Address Book is made using only the best hand-dyed and hand waxed leather and age-old traditional bookbinding skills handed down through the generations. 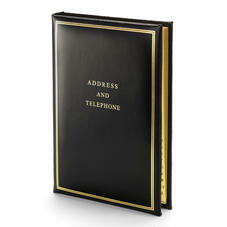 Even in this technological age of iPads, Smart Phones and emails, you still cant go wrong with a quality leather address book. There are lots of sizes and styles to choose from in a range of beautiful contemporary and classic designs. 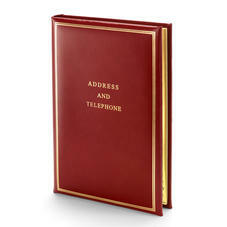 All our leather address books are hard wearing and have high quality 110gsm pages for years of faithful service. What ever your choice, all our leather Address Books are smart, elegant and extremely impressive - combining superior quality craftsmanship with beautiful design and function. 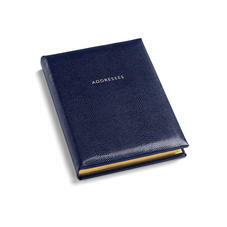 All of our Leather Address Books can be personalised with names or initials.